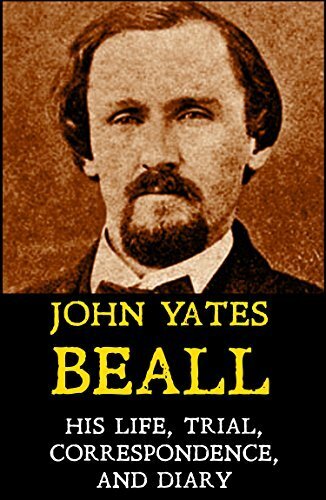 During the American Civil War, John Beall was a privateer, raiding Union ships on Chesapeake Bay. In 1864, he led a band of men on a daring raid to free Confederate prisoners on Johnson’s Island in Lake Erie. This is Beall’s own account of his raid on Lake Erie, his diary leading up to that period, his trial, letters, and his execution. Beall felt his actions were legitimate acts during war and that he should be treated as a POW. He was tried as a spy. This book gives a fascinating look at a man who knows his neck is bound for the gallows but is facing it without remorse or fear.